Water: Available from a small spring down the narrow valley from the site, or from Hesse Creek a few hundred yd. down Rich Mountain Trail. CS 5 is the former site for the Rich Mountain Shelter, the foundation of which is still there. The site is a small one with nice ground cover and space for a couple tents. There is little impact and although the site is within clear view of the trail, it is sufficiently off to the side. There is a large fallen tree to provide wind break for tarps. 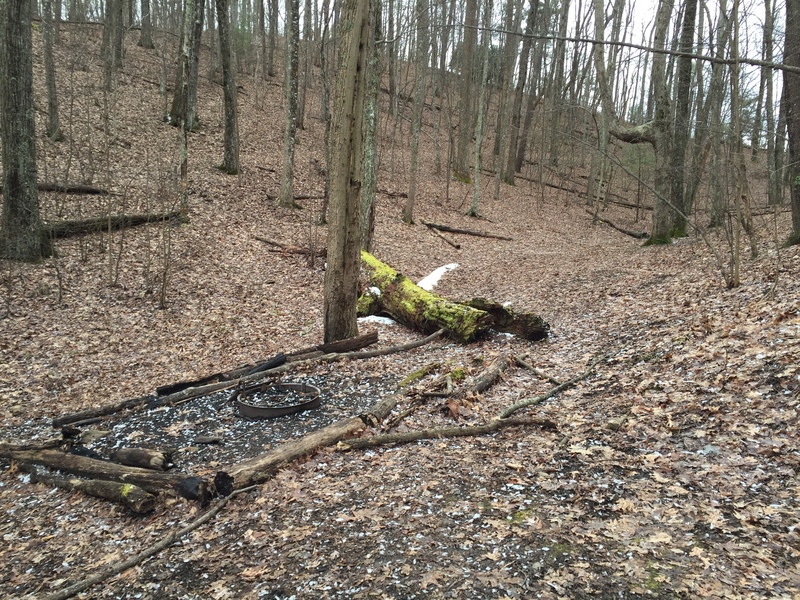 This entry was posted in Campsites and tagged Campsite 5, CS#5 on February 6, 2016 by blogginggazelle.